I’ve already explained about aura in the article, “Wondering Aura?“. Aura is the energy that human beings emit. Each person has the different energy (aura) innately as having different personality, and each energy has its own color. The essencial, internal aura which a person have by nature has not basically changed, but the external aura has been changing day by day and time by time according to emotions and conditions and the color of the external aura has also changed complicatedly in response to the external aura. As mentioned above, even if saying “aura” in a word, the color can be different between the internal and external aura. Especially, the current aura has changed quickly, and many colors are mixed in. “Birth Aura” is named by me (Anne) and GEn.co.,ltd. and we decided to call the internal aura which human beings have had innately as “Birth Aura” in comparison to the external aura which has constantly changed. 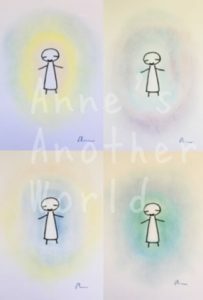 I will send your aura by e-mail if you ordered “Anne’s Aura Drawing” so that you can often check it out with feel free. 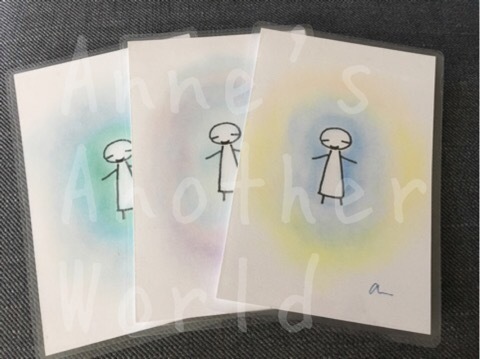 On the other side, I will send your birth aura by postal mail if you ordered “Birth Aura Card” so that you can keep the original with care because your birth aura doesn’t usually change. You can see some sample of “Birth Aura Card” below. “Birth Aura Card” is autographed. The birth aura is drawn in a little bit different way from the external aura. It will be drawn more softly and delicately. In addition, though I told you that the birth aura did not basically change, it is very difficult to draw as it is because it is so delicate and complicated. 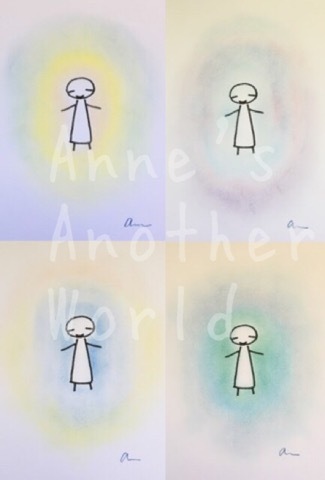 I hope you regard the birth aura only as one of its aspect in case that Anne drew by automatic drawing. If you have a interest in your birth aura, please read the detail below. * I will usually reply you within 24hours after you sent an email or request form. * I will send you your birth aura card by postal mail in 3 days after confirming your pay. * This is for entertainment purposes only please. I need information below from you for Birth Aura Card. Please apply by email or send the request form below. This entry was posted in chakra and aura and tagged aura reading, chakra reading on 12/15/2017 by anne.